In most wrongful dismissal matters, the question of whether the Employment Standards Act, 2000 or the Canada Labour Code (R.S.C., 1985, c. L-2)., in the case of federally regulated employees, applies is relatively simple. But what happens when the employees are part of a global organization without separate divisions (i.e Canadian or North American)? This weeks’ blog post defines the borders of Employment Standards legislation. North America is known for its large corporations. 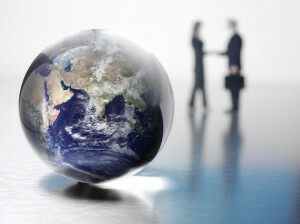 Global Organizations are not uncommon and employees in these organizations are often required to work in international locations, even if the organization itself is based in Canada or the U.S. The question is then whether employment standards apply to these “international” employees. In the 2012 matter of CHC Global Operations (2008) Inc. and Blackwell (Employer’s Preliminary Objection to Jurisdiction), Re, 2012 CarswellNat 4061 (Can. Labour Code Adj. ), that exact question was posed to an adjudicator. The company, who was based in Canada, had 17 employees, consisting of touring crew pilots and engineers who were stationed in Nigeria and were laid off, without reasonable notice of termination. The company also had employees stationed in Halifax, in a more permanent role. The Nigerian employees were bound by an ‘averaging agreement’ which was approved by Human Resources and Skills Development Canada, but the other details of their employment contracts were not discussed during adjudication. The employees, upon being laid off, submitted a complaint to the HRSDC alleging that severance pay was owed, pursuant to s. 235(1) of the CLC. The HRSDC Inspector who was assigned to the complaint agreed with the employees, finding that the CLC applied to the employees as CHC, which was Canada-based, was in control of all aspects of the employees’ work, that being international aeronautics. The Inspector ordered that CHC pay the laid-off employees $99,565.03 in severance pay. Of course, CHC appealed this decision on the basis that the employees were stationed in Nigeria, part of the company’s Nigerian operation, and therefore not entitled to severance pay under the CLC, given that it was Canadian legislature. Again, on appeal, the adjudicator presiding found in favour of the employees, once again connecting the employees’ relationship directly to the Canadian-based company and in turn, Canadian employment standards. The initial decision was upheld. In today’s job landscape, jobs with an international component are more and more common. It is crucial that as a global employer you look into what employment standards apply to your employees, in order to avoid violations and their accompanying claims. Contact Monkhouse Law today for a free consultation. Being employed by a Canadian employer typically entitles you to the corresponding Employment Standards. If you worked in an international location for a Canadian-based company, and have been deprived your statutory entitlements upon layoff or termination, it is best to contact an employment lawyer. As the case cited above establishes, your work location doesn’t necessarily exclude you from the benefits afforded to locally-based employees, and you may be entitled to a remedy at law.